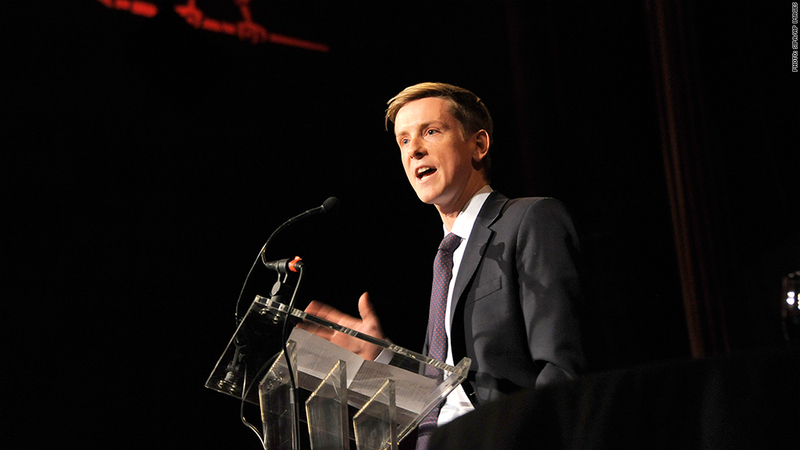 The New Republic's owner Chris Hughes (above) wrote an op-ed in the Washington Post on Sunday. The magazine's CEO followed with a letter to readers on Tuesday. Since announcing a complete restructuring last week, there have been plenty of opinions about the future of the New Republic. Now the magazine's CEO is airing his own views on the matter. On Tuesday, Guy Vidra wrote a letter to readers in which he defended the changes taking place at the New Republic. "When I decided to take on this role, I knew it would mean that many would not like what was to come -- change," Vidra wrote. These changes included the resignation of long time editor Frank Foer, a relocation of its newsroom from D.C. to New York, and a reduction of its print magazine from 20 issues a year to just 10. During the shakeup, many senior editors resigned under protest and contributors asked to be removed from the New Republic's masthead. Some in the media went as far as to write a eulogy for the iconic 100-year old political publication. Vidra, who was the former GM at Yahoo News, continued in the letter by saying that the future of the magazine was still one steeped in its traditional ideals but also one that was going to use technology in order to tell new stories in different ways. "We will begin to tell our stories more effectively in other ways," Vidra wrote. "We will create formats for our readers to engage with that information outside of print." Last week, Vidra was mocked by some for the language he used in an internal memo to staff. On Tuesday, Vidra's writing was once again under the microscope. "This letter is a train wreck. Danglers, tense shifts. If no one in house is willing to copyedit Vidra he should hire a freelancer," tweeted Harper's Magazine deputy editor Christopher Beha. Vidra's letter comes just days after the magazine's owner Chris Hughes wrote a defense of his own in an op-ed in the Washington Post. "I didn't buy the New Republic to be the conservator of a small print magazine whose long-term influence and survival were at risk," Hughes wrote. "I came to protect the future of the New Republic by creating a sustainable business." While the reactions to Hughes and Vidra's plans for the New Republic have been fervent, some like Bloomberg View's Clive Cook have looked at the move as one that makes sense in the current media climate. "We don't know what the new TNR will be," Cook wrote. "On the face of it, the idea of a reduced frequency of print publication and a bigger web and mobile presence makes sense."